This is part of China's initiative to build a new 'Silk Road' of land and maritime trade routes across Asia, Europe and Africa. Beijing has built a school, sent doctors and pledged about $500 million in grants for an airport, hospital, college and badly-needed water infrastructure for Gwadar, a dusty town whose harbour juts out into the Arabian Sea, overlooking some of the world's busiest oil and gas shipping lanes. The handouts for the Gwadar project is a departure from Beijing's usual approach in other countries. China has traditionally derided Western-style aid in favour of infrastructure projects for which it normally provides loans through Chinese state-owned commercial and development banks. "The concentration of grants is quite striking," said Andrew Small, an author of a book on China-Pakistan relations and a Washington-based researcher at the German Marshall Fund think tank. "China largely doesn't do aid or grants, and when it has done them, they have tended to be modest." Pakistan has welcomed the aid with open hands. However, Beijing's unusual largesse has also fuelled suspicions in the United States and India that Gwadar is part of China's future geostrategic plans to challenge U.S. naval dominance. "It all suggests that Gwadar, for a lot of people in China, is not just a commercial proposition over the longer term," Small said. Beijing and Islamabad see Gwadar as the future jewel in the crown of the China-Pakistan Economic Corridor (CPEC), a flagship of Beijing's Belt and Road initiative to build a new "Silk Road" of land and maritime trade routes across more than 60 countries in Asia, Europe and Africa. 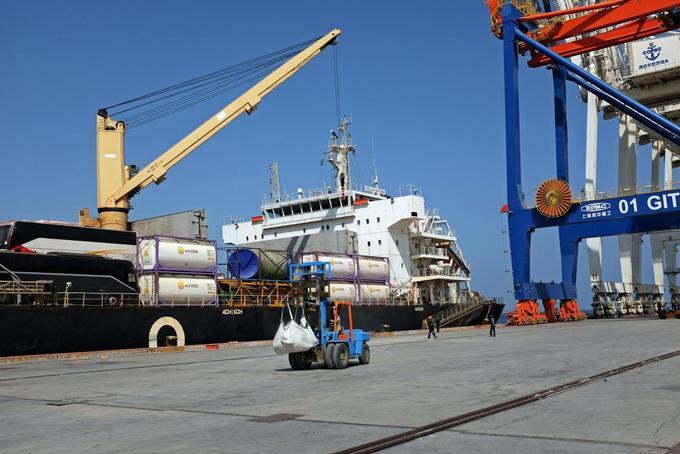 The plan is to turn Gwadar into a trans-shipment hub and megaport to be built alongside special economic zones from which export-focused industries will ship goods worldwide. A web of energy pipelines, roads and rail links will connect Gwadar to China's western regions. But the challenges are stark. 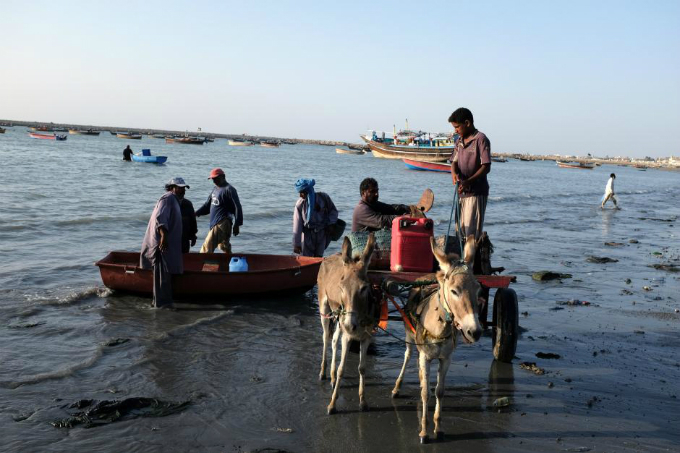 Gwadar has no access to drinking water, power blackouts are common and separatist insurgents threaten attacks against Chinese projects in Gwadar and the rest of Baluchistan, a mineral-rich province that is still Pakistan's poorest region. "Local people are not completely satisfied," said Essar Nori, a lawmaker for Gwadar, adding that the separatists were tapping into that dissatisfaction. China's Gwadar project contrasts with similar efforts in Sri Lanka, where the village of Hambantota was transformed into a port complex - but was saddled with Chinese debt. The Hambantota port, like Gwadar, is part of a network of harbours Beijing is developing in Asia and Africa that have spooked India, which fears being encircled by China's growing naval power. "We welcome this assistance as it's changing the quality of life of the people of Gwadar for the better," said Senator Mushahid Hussain Sayed, chairman of the parliamentary committee that oversees CPEC, including Gwadar. "Gwadar is exceptional even by the standards of China's past activities in Pakistan itself," Parks said. There are early signs China's efforts to win hearts and minds are beginning to bear fruit in Gwadar. "Baluchistan is backward and underdeveloped, but we are seeing development after China's arrival," said Salam Dashti, 45, a grocer whose two children attend the new Chinese-built primary school. For now, they live in cramped single-story concrete houses corroded by sea water on a narrow peninsula, where barefoot fishermen offload their catch on newly-paved roads strewn with rubbish. Many of the fishermen say they fear they'll lose their livelihoods once the port starts operating. Indigenous residents' fear of becoming a minority is inevitable with Gwadar's population expected to jump more than 15-fold in coming decades. On the edge of town, mansions erected by land speculators are popping up alongside the sand dunes. Analysts say China is aware that previous efforts to develop Gwadar port failed partly due to the security threat posed by Baloch separatists, so Beijing is trying to counter the insurgents' narrative that China wants to exploit Baluchistan. "That weighs heavily on the minds of the Chinese," Parks added. "It's almost certainly true that they are trying to safeguard their investments by getting more local buy-in." "Every day you can see new changes. It shows the sincerity of Chinese for development of Gwadar," Fijian Zhao, the deputy chief of mission at the Chinese embassy in Islamabad, tweeted last month. For its investment in Gwadar, China will receive 91 percent of revenues until the port is returned to Pakistan in four decades' time. The operator, China Overseas Ports Holding Company, will also be exempt from major taxes for more than 20 years. Pakistan's maritime affairs minister, Hasil Bizenjo, said the arrival of the Chinese in the region contrasted with the experience of the past two centuries, when Russia and Britain, and later the United States and the Soviet Union, vied for control of the warm water ports of the Persian Gulf. "The Chinese have come very smoothly, they have reached the warm waters," Bizenjo told Reuters. "What they are investing is less than a peanut for access to warm waters." "Talk that China is building a military base in Pakistan is pure guesswork," said a Chinese Defence Ministry spokesman, Wu Sian. "This port, they will use it mostly for their commercial interests, but it depends on the next 20 years where the world goes," Bizenjo said.